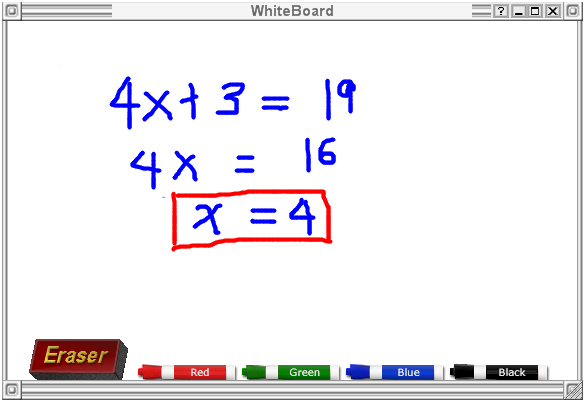 If you are online training or tutoring, and you need an interactive whiteboard, you may want to explore Scribblar. 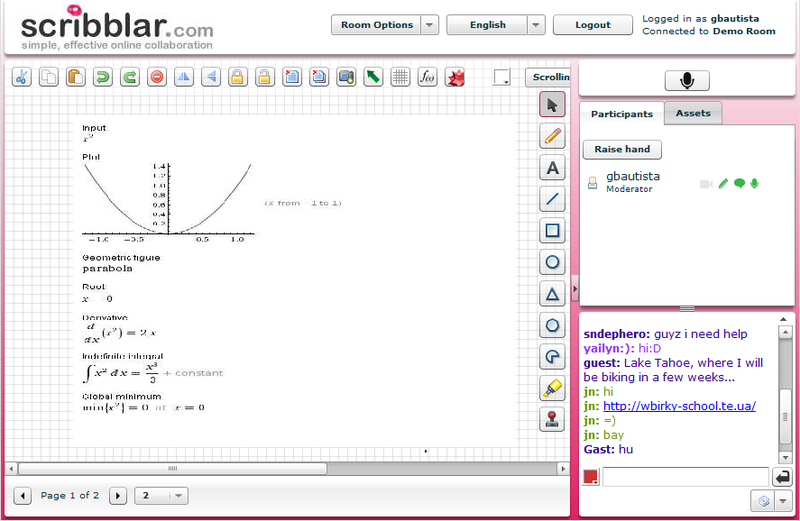 Scribblar is a free online collaborative whiteboard designed for multi-user use. In Scribblar, users in a single room can use the same whiteboard to draw and react on objects on the screen. A snapshot of the whiteboard can be taken for filing and later work. In addition, Scribblar also supports text and live audio chat. 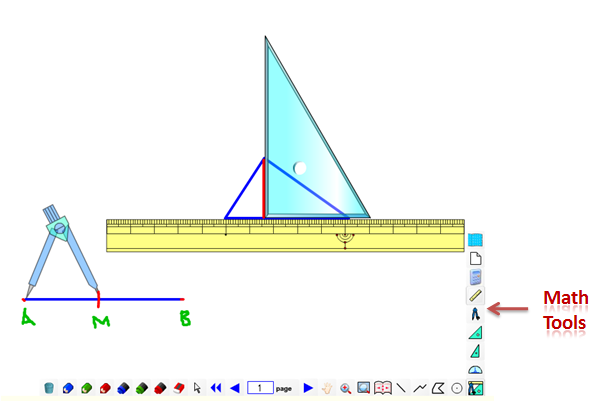 For math teachers, Scribblar supports Latex and allows embedding of Wolfram Alpha search results.